The whole fish, the adobo marinade mixed with lime juice, and a whole meal cooked on the grill all scream “summer” to me. It’s only March, but the weather lately is starting to feel much more spring-like, so I thought it was time to break-out this recipe. A green salad and some white wine is all you need to add to make this a complete dinner. Heat oil in skillet or cast-iron pan over medium heat. 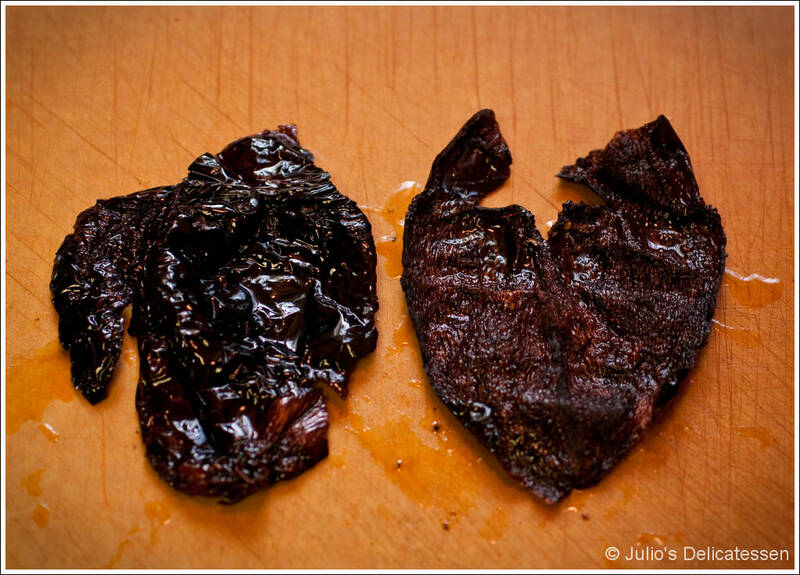 Tear dried chiles into flat pieces. Discard seeds and stems. 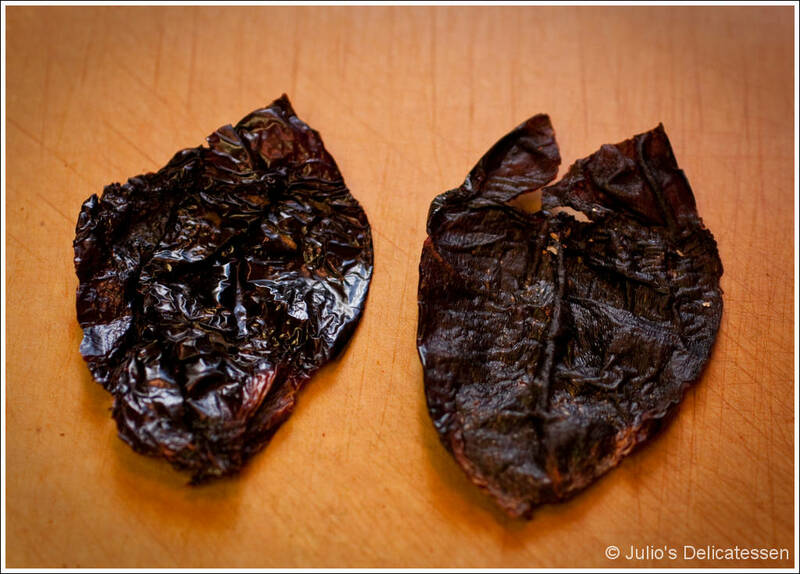 Fry each piece of dried chile quickly on each side (5 – 7 seconds a side should do it) until they change color slightly and become aromatic. Continue until all pieces are toasted. Place in a bowl with ~ 2 cups of hot water. Place something (coffee mug, small plate, etc) on top to weight the chile pieces down in the water. Let stand in water for at least 20 minutes. 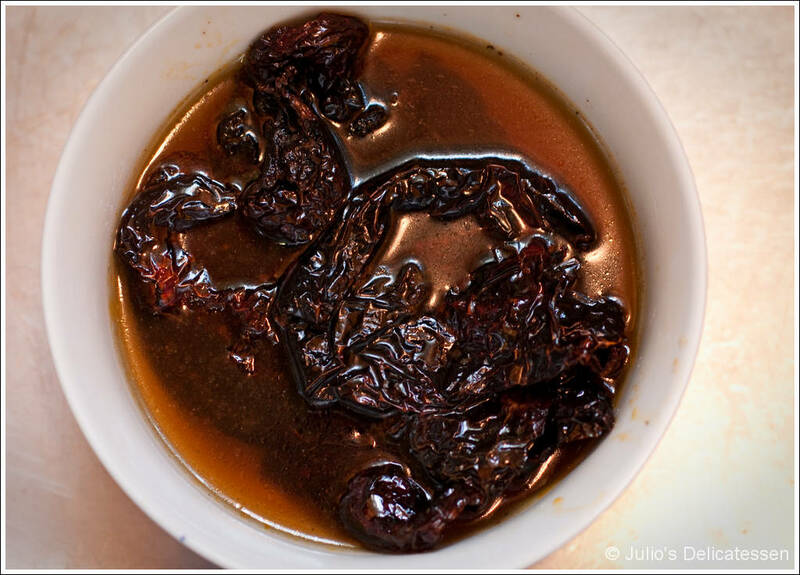 Pour chiles AND the water in which they soaked into a blender or large food processor. Add garlic, plenty of salt, pepper, sugar, and vinegar. Blend until it’s as smooth as you can get it. Strain through a medium strainer to get rid of any stray seeds you missed or lumpy bits. Lay fish on a cutting board. 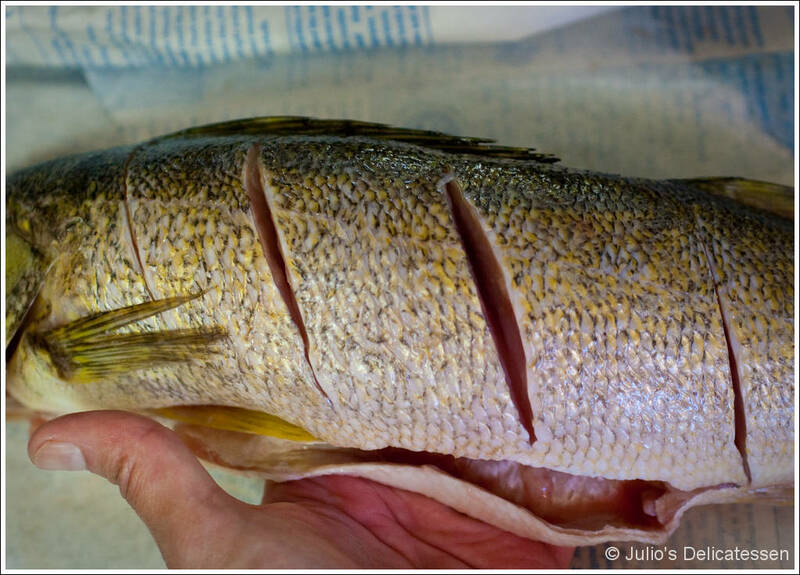 Make 3 diagonal cuts through the skin and flesh of the fish (but stopping before you go through the backbone). If you have a particularly long fish, feel free to make more cuts. Flip and repeat on other side. Mix ½ cup of the marinade with juice of 1 lime. Smear over the fish, making sure you get it down into the cuts you made. Place in a baking sheet or in a glass dish; cover with plastic wrap and place in refrigerator for up to 2 hours (at least 30 minutes). 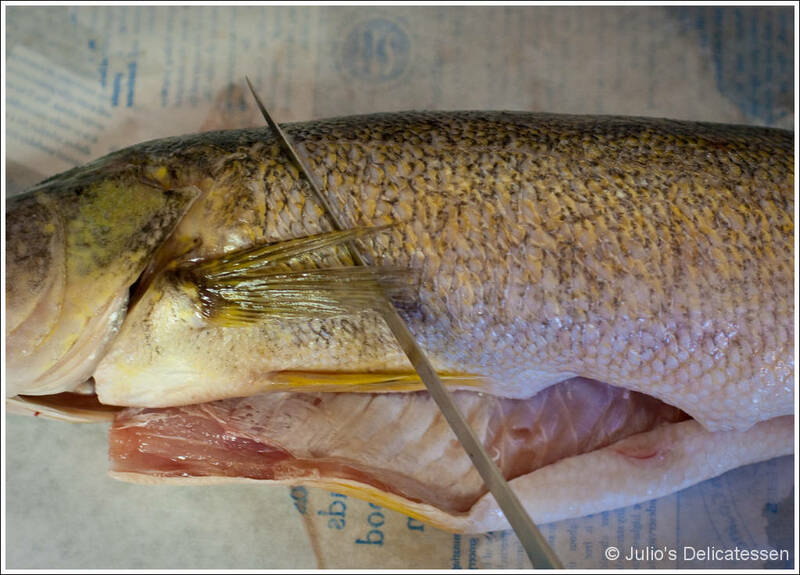 Longer than 2 hours and the lime juice in the marinade will start to denature the fat in the fish – you don’t want this. Heat grill to 400 – 450 degrees. 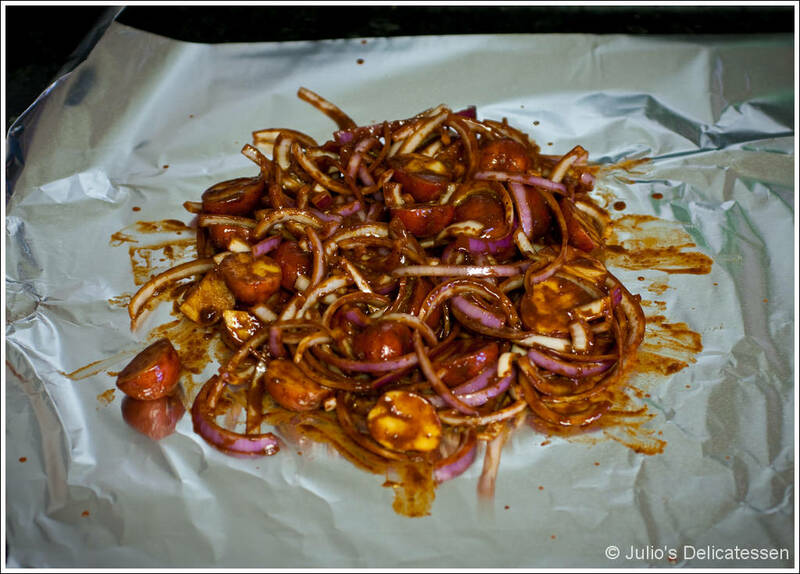 Toss onion and potatoes in a large bowl with 2 Tb olive oil plus 1 cup of the adobo marinade. Toss to coat. Place the entire mixture in a foil pouch (or two if necessary). Poke a single hole in the top of the pouch and place on the grill. Grill for 6 minutes, then flip and cook another 6 minutes. Flip foil pouch back to the first side. Slide to the coolest part of the grill. 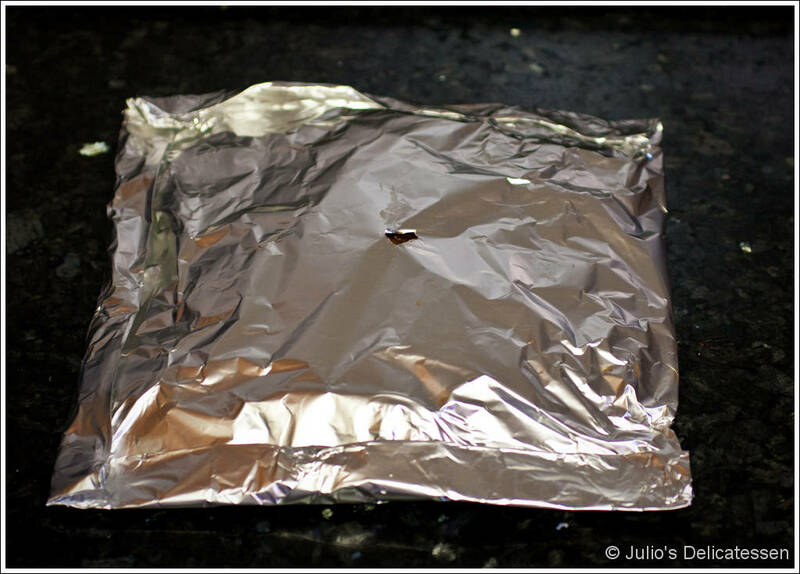 Place a large piece of foil on the counter. Spray with a little cooking spray and place the fish on top. Set it on the grill (hottest part). Cover and cook for 5 minutes. Open grill, and brush some marinade on the fish. Cover again and cook another five minutes. Open grill and carefully use the foil to roll the fish onto the other side. Cook for 4 minutes. Open grill, brush with some more marinade, and close grill again. Cook another few minutes until fish is done (which it will be when the flesh flakes when you press with your finger or a spatula). 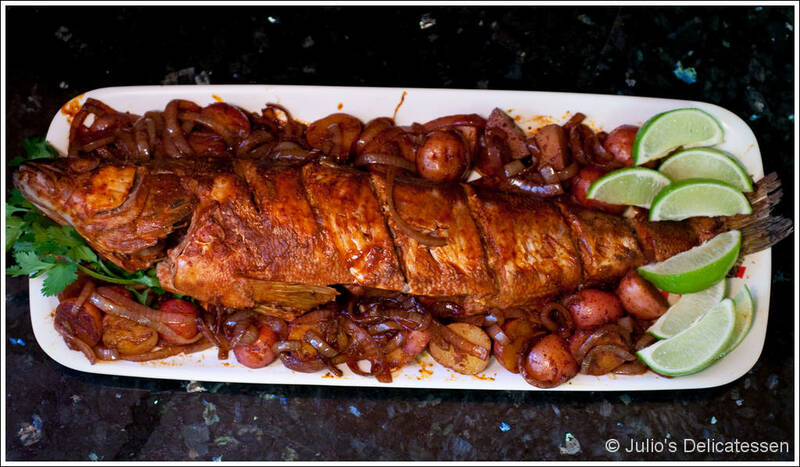 Place cooked fish on a large platter and spread onions and potatoes around it. Sprinkle with cilantro and place some lime wedges alongside.